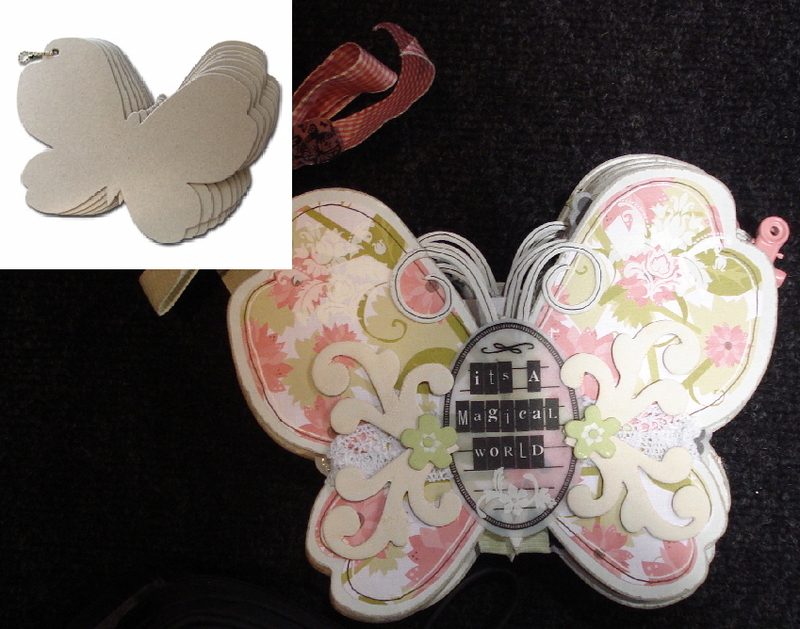 Maya Road Butterfly Chipboard Album is a board style alterable album and is perfect for your next gift or project. This book has 8 pages made of thick chipboard which makes them easily alterable and/or paintable. 6 in. tall and 7 3/4 in. wide. PHOTO WAS TAKEN AT THE MAYA ROAD BOOTH AT THE CHA SHOW 2008, IN CHICAGO, IL. BUTTERFLY ALBUM WAS CREATED BY AN ANAZING MAYA ROAD ARTIST.